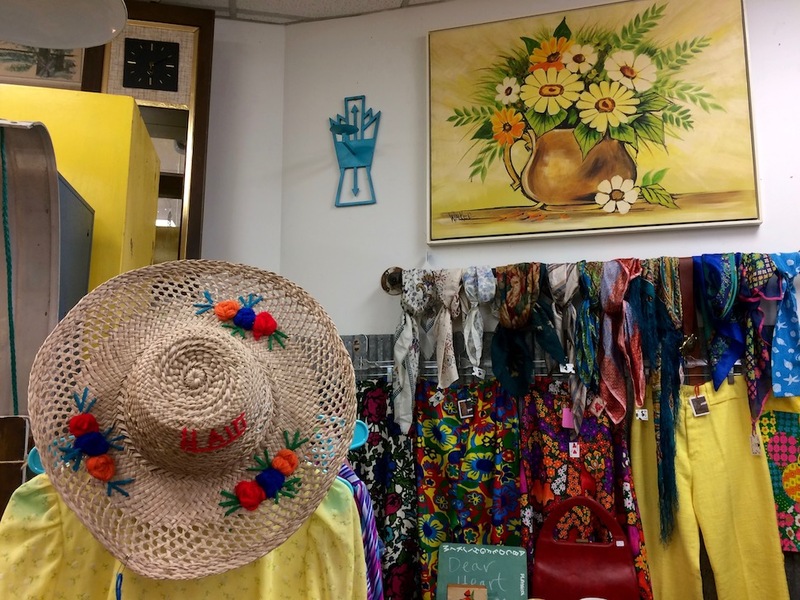 Minneapolis is lousy with vintage stores, but the Minnehaha Mile, a seven-block stretch that cuts through the city’s Longfellow neighborhood, is paradise for diggers. The hub starts around East 33rd Street and runs south to Adams Triangle Park. 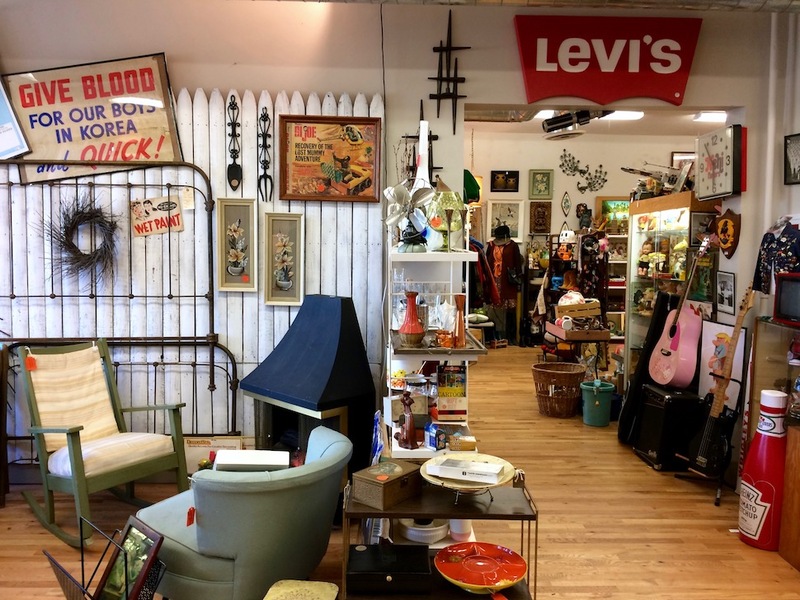 One of our favorite shops along the route is Turquoise Vintage. 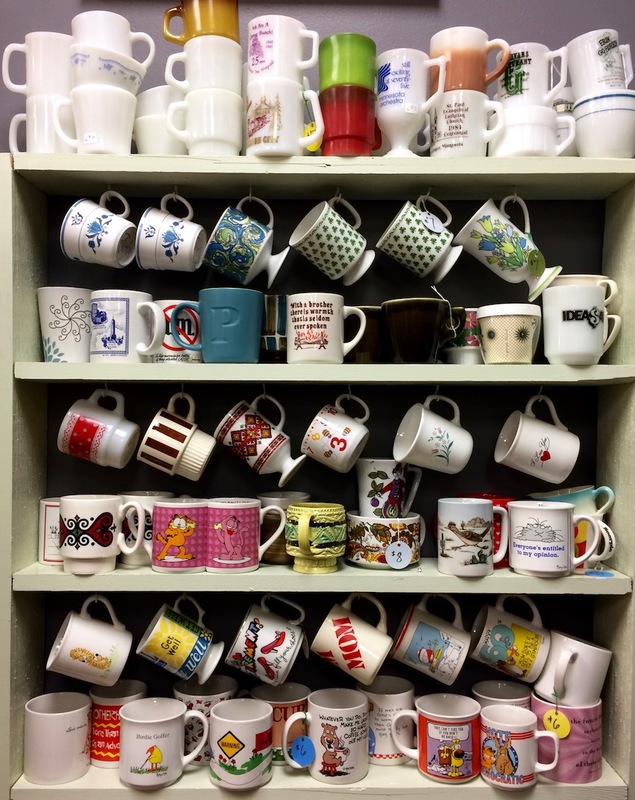 It’s run by Toni “Pyrex Queen” Johnson, and boy does she deliver on that front. 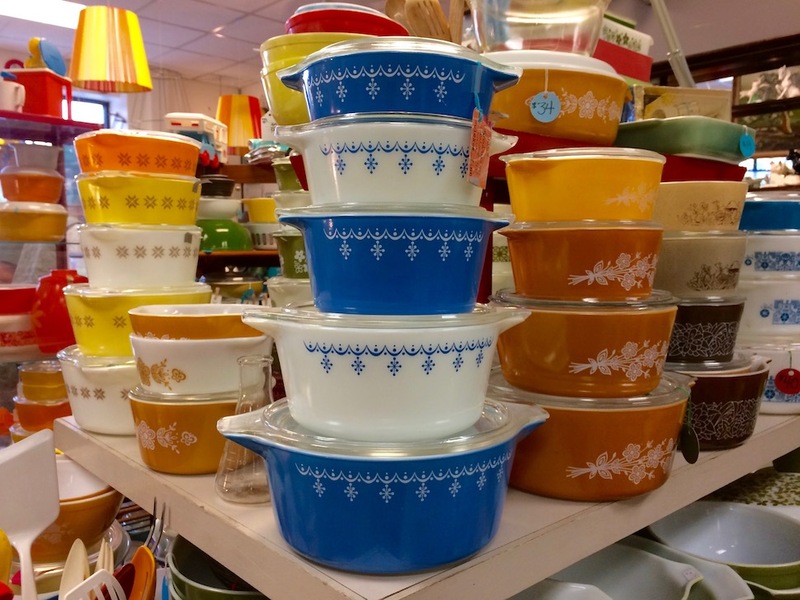 Her store is a multi-dealer affair, but you’ll know her section by the colorful towers of casserole dishes dating back to the 1930s. 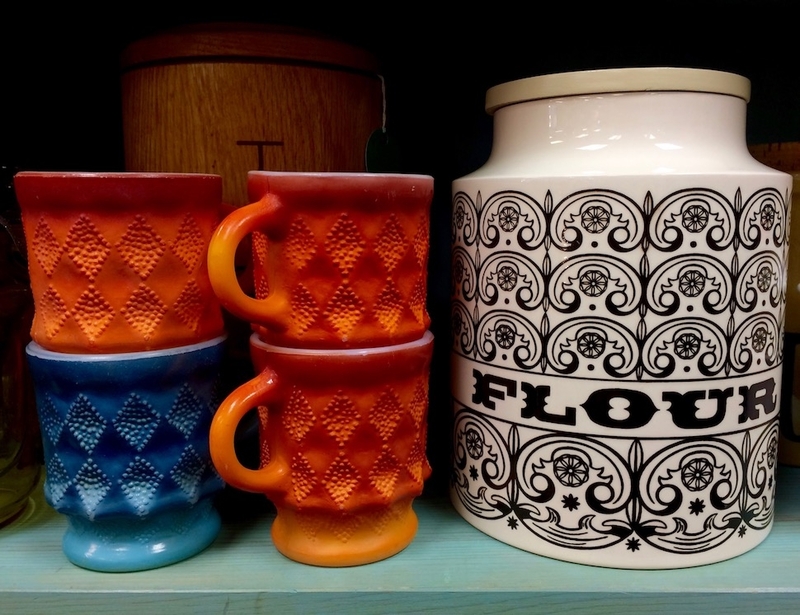 The kitsch doesn’t end there. Elsewhere you’ll find enormous black velvet paintings, ornate gold clocks that wouldn’t look out of place in Bob Guccione’s den, and funky psychedelic-print dresses plucked straight from Norma Arnold’s closet. 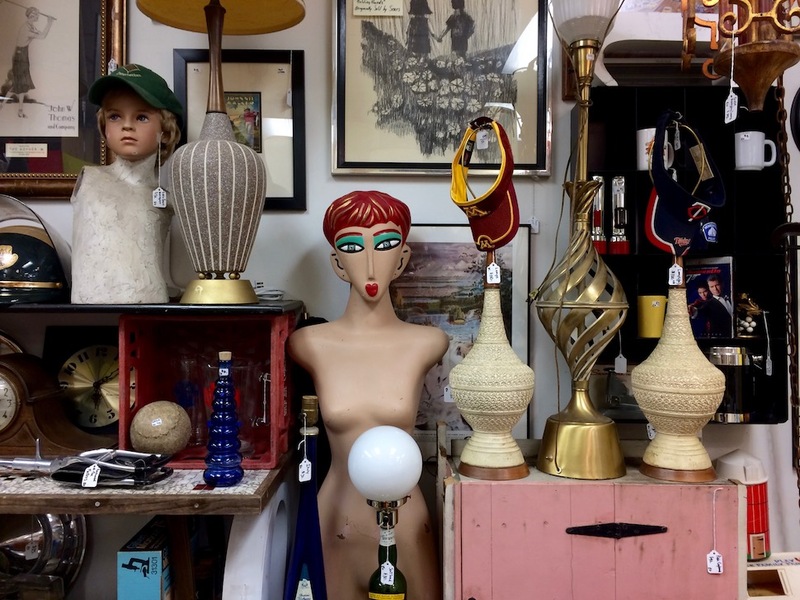 Another Minne Mile must is Time Bomb Vintage, where a dozen dealers from the Retro Collective gather under one roof. 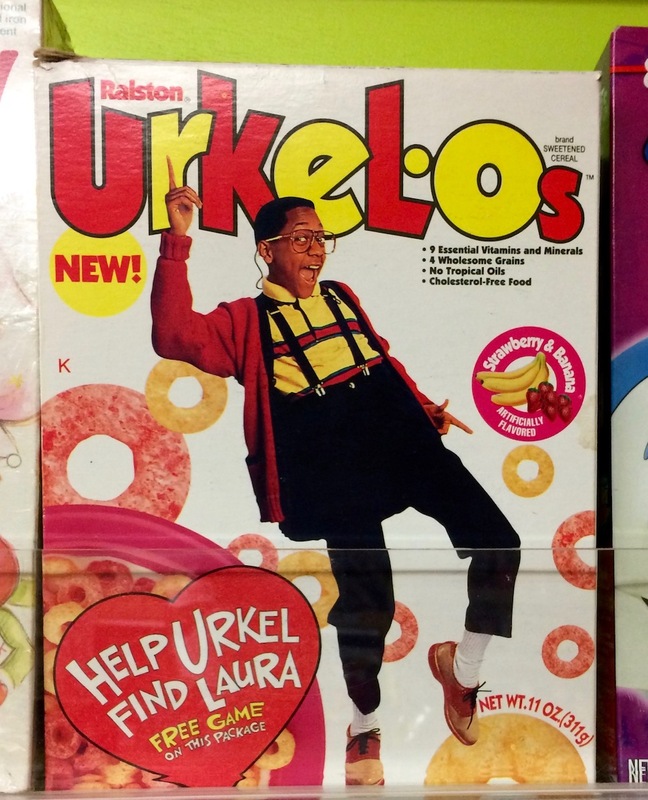 Owner Dallas specializes in character toys, metal lunch boxes, and wall-to-wall vintage food packaging, including a rare box of Urkel-Os cereal. (TGIF forever!) 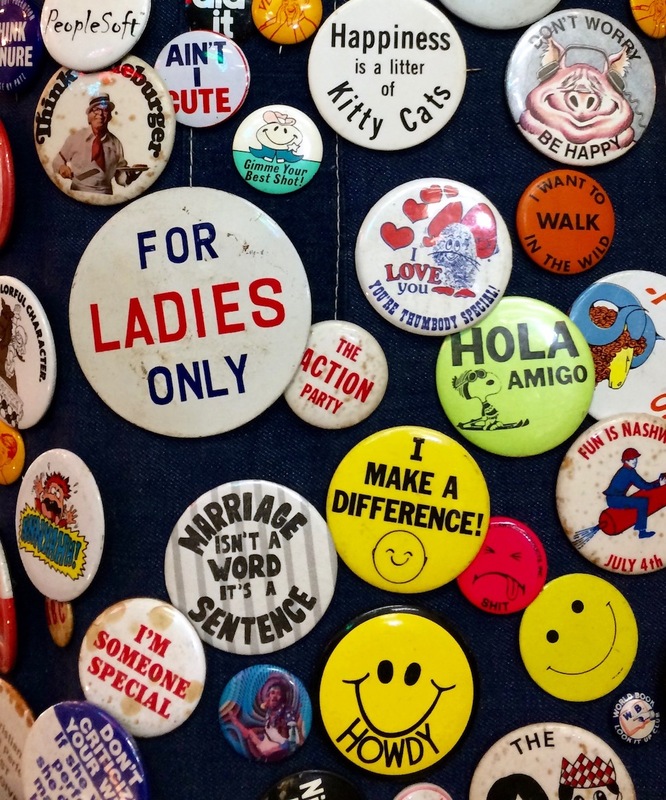 Other vendors showcase Flintstones paraphernalia, Michael Bolton concert tees, pastel carnival darts, protest pins, throwback board games, Eva Gabor wig spray, and sparkly shriner’s hats (modeled by a life-size Yoda). 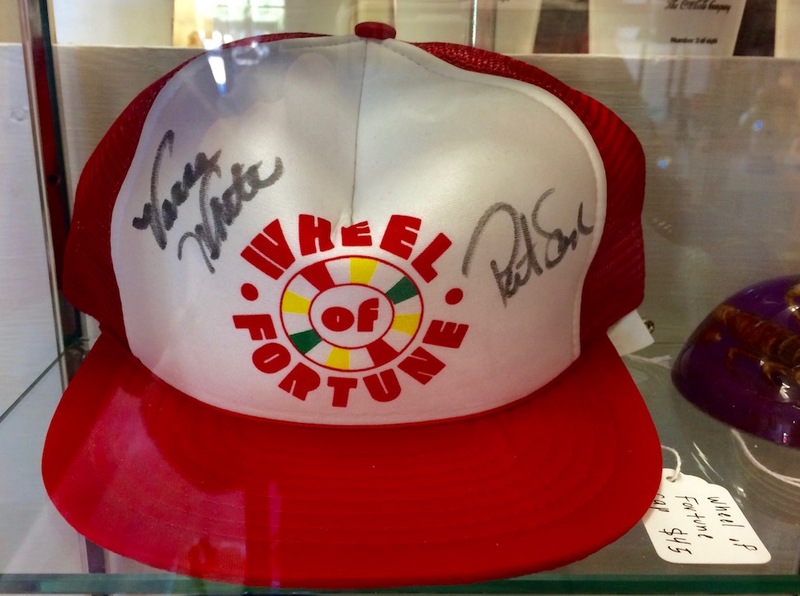 We’d be lying if we said we weren’t tempted by the Wheel of Fortune trucker cap autographed by Pat Sajak and Vanna White. 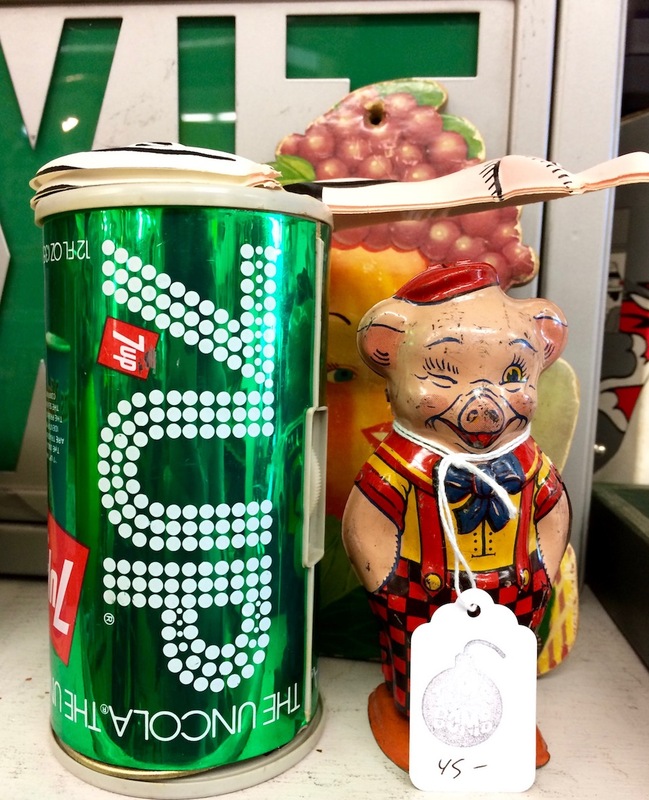 Be sure to buy a $2 soda from the old-school 7-Up machine across from the register; the thing actually works. The newest shop on the Mile is Heroic Goods and Games, your go-to for Nintendo game cartridges, decades-old Atari and Sega systems, and even more pop culture throwbacks. It’s a Nerdist’s wonderland, jammed floor to ceiling with Teenage Mutant Ninja Turtle figurines, Batman glassware, Jabba the Hut action play sets, New Kids on the Block trading cards, and Golden Girls Monopoly sets. 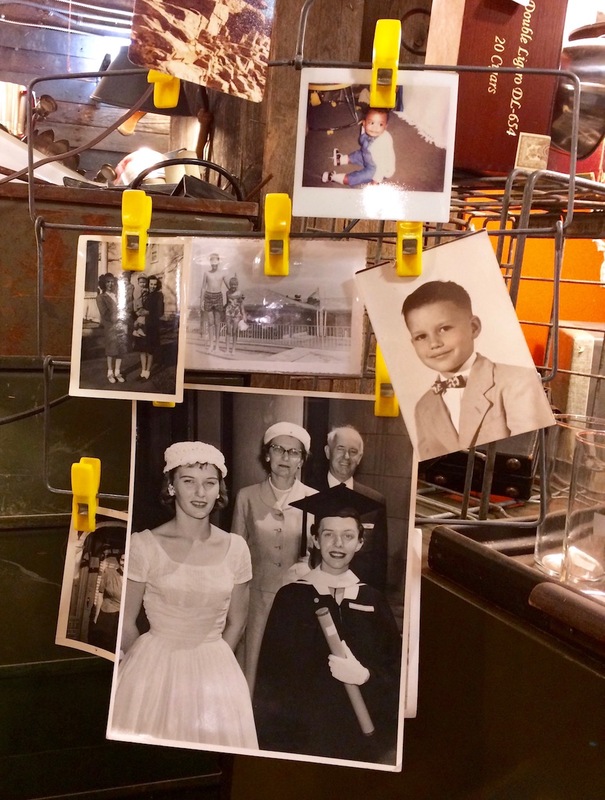 The elder statesman of the shopping district is Paris Antiques and Gifts, run by Francophile Mary Anne Rivers. The name of the shop is a bit misleading: River’s doesn’t sell antiques from Paris so much as French-themed decor. It’s a bit grandmotherly for our taste, but if you look past the doilies and dusty pink Victoriana, you might unearth a timeless mink coat with three-quarter sleeves, jadeite coffee container, ladylike mannequin head, or hand-cranked egg beater (a.k.a., the most contrived Instagram prop after sunglasses and succulents). 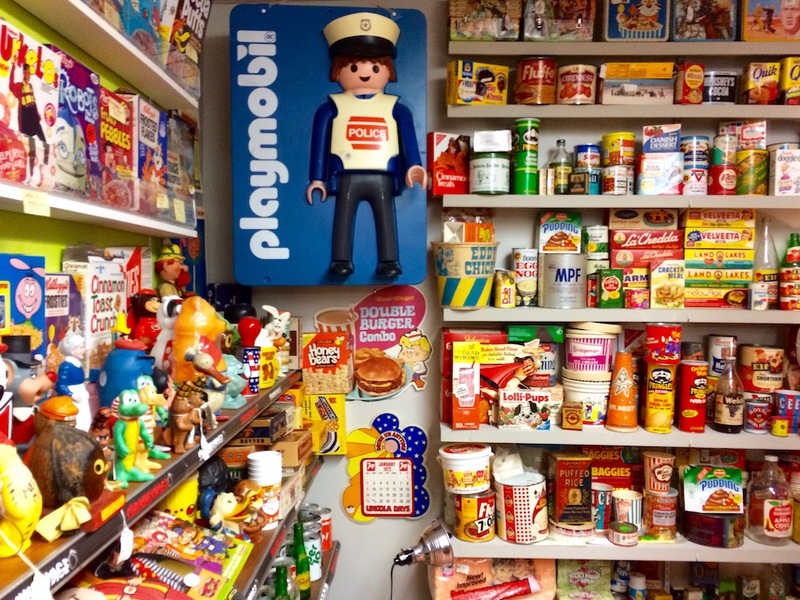 Other Minnehaha highlights include the year-old Strange Boutique, with its creeptastic assortment of animal skulls, ostrich eggs, and Stephen King-worthy doll parts; E’s Emporium for household goods and furniture from the ’60s, ’70s, and ’80s (hope you like Brady Bunch orange! 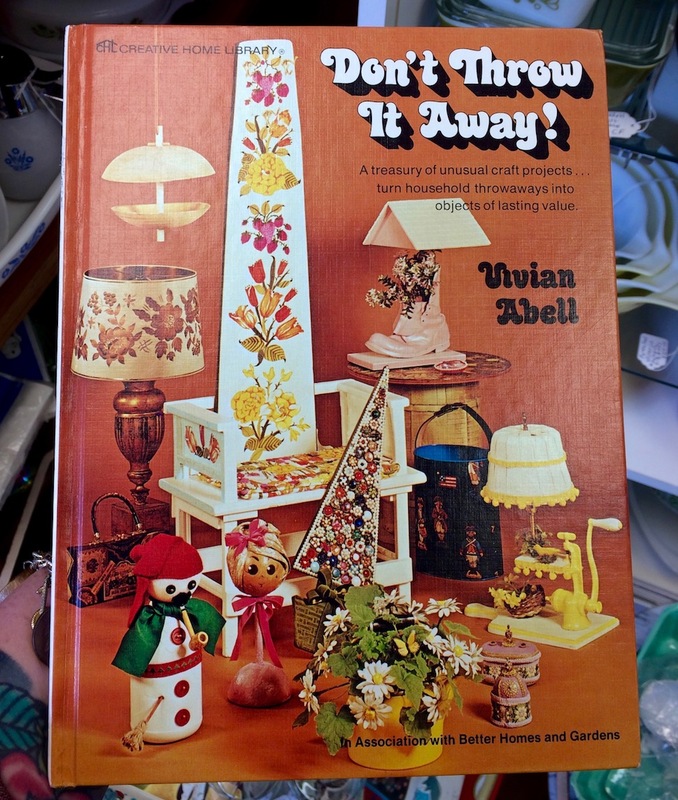 ); and Junket: Tossed & Found, a fabulous resource for well-organized bric-a-brac that can be used in scrapbooking, collaging, and other mixed media. A drawer of doorknobs? A bowl of thimbles? 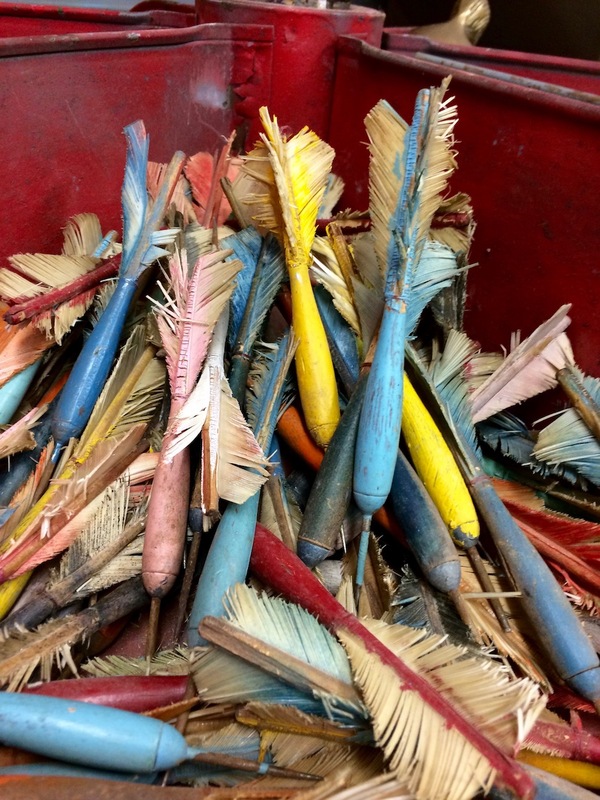 A tray of dental molds? That’s Junket for you. And though it doesn’t sell vintage, per se, you’d be mad to walk the Minnehaha Mile without stopping at Moon Palace Books. 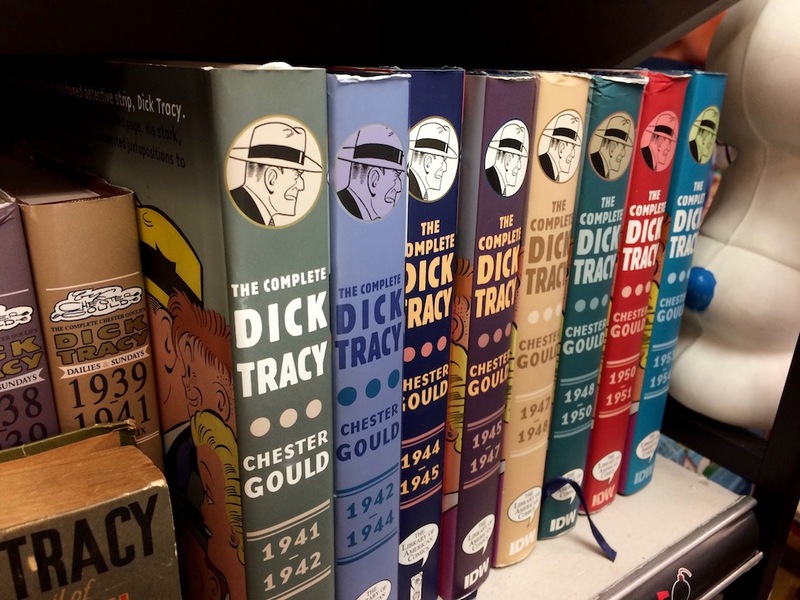 It’s a fine mix of new and used titles, heavy on the social justice issues. Moon Palace is moving to a much larger space around the corner in fall of 2017. For now, it shares a wall with the 50-seat, single-screen Trylon Microcinema, which screens David Cronenberg marathons and 3-D double features like It Came From Outer Space and The Creature From the Black Lagoon. Exhausted yet? Us too! Refuel at Selam Coffee, across from Turquoise. The friendly Ethiopian family that runs the shop roasts its own beans and hosts open-mic nights on the first and third Saturday of the month. Prices are fair and there is seating both indoors and out. Note: With the exception of Time Bomb and Junket, most of the shops along the Minnehaha Mile keep very limited hours. To hit them all, you’re best off shopping on a Friday or Saturday afternoon on the first or third weekend of the month. Trylon Microcinema: 2820 E. 33rd St., Minneapolis, MN; 612-424-5468. 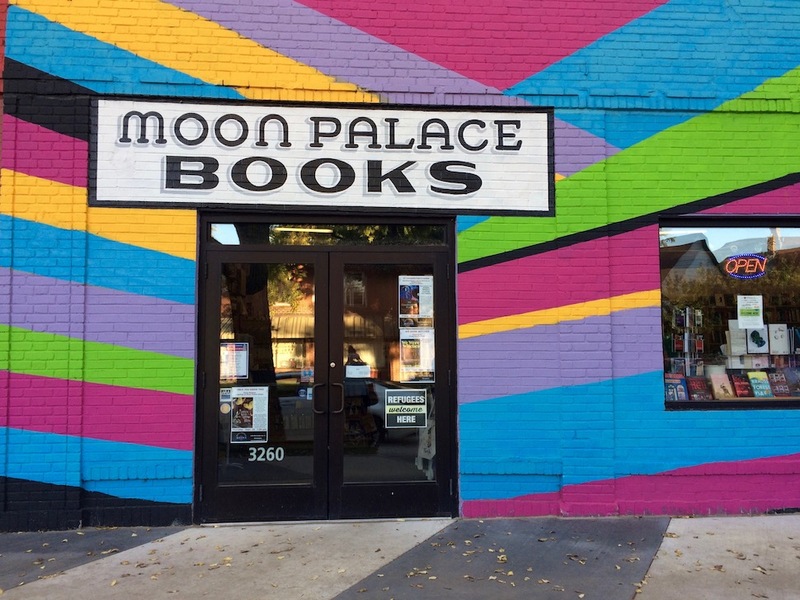 Moon Palace Books: 3260 Minnehaha Ave., Minneapolis, MN; 612-454-0455. 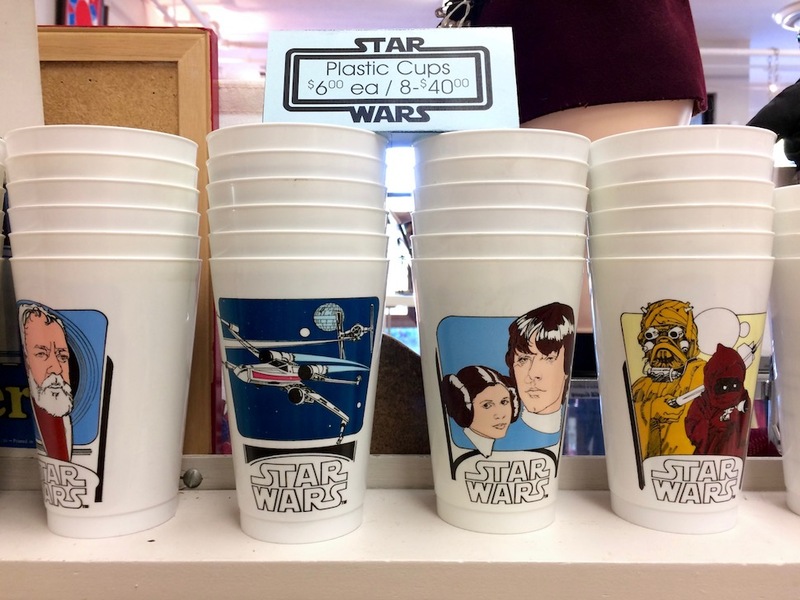 Heroic Goods and Games: 3456 Minnehaha Ave., Minneapolis, MN; no phone. 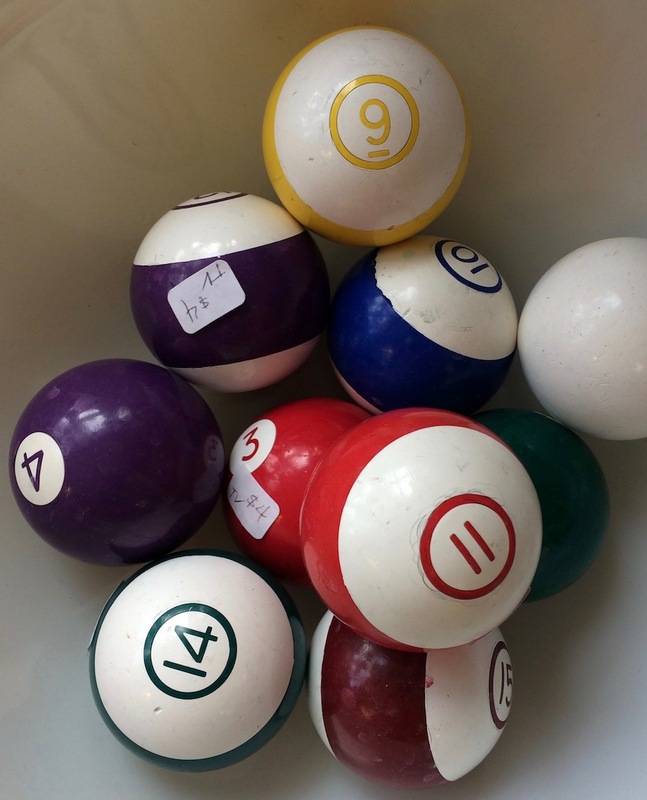 Strange Boutique: 3458 Minnehaha Ave., Minneapolis, MN; 612-886-1614. 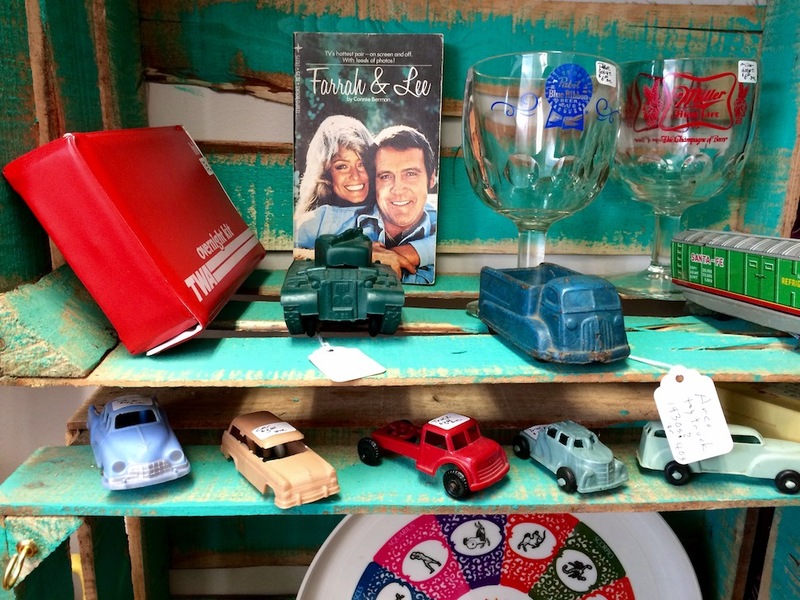 Paris Antiques & Gifts: 3721 Minnehaha Ave., Minneapolis, MN; 612-729-3110. Selam Coffee: 3860 Minnehaha Ave., Minneapolis, MN: 612-367-4288. 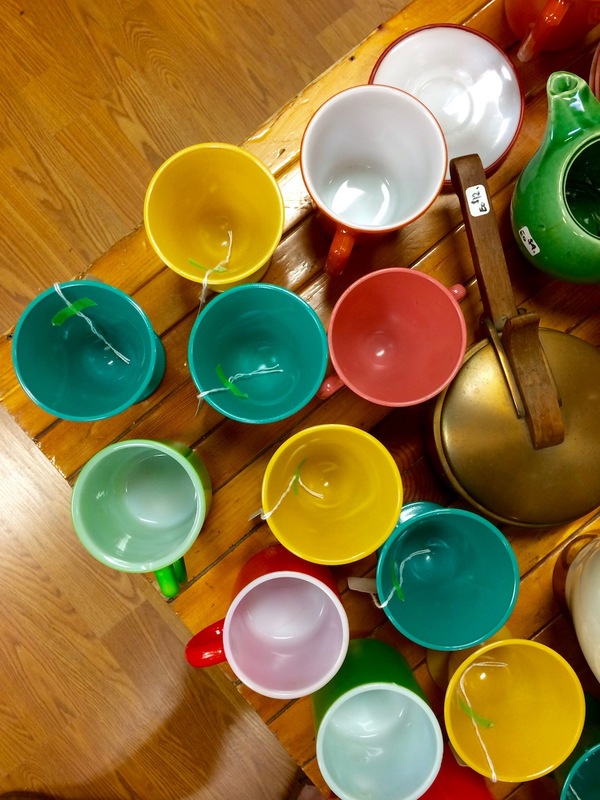 Turquoise Vintage: 3869 Minnehaha Ave., Minneapolis, MN; 612-720-7272. 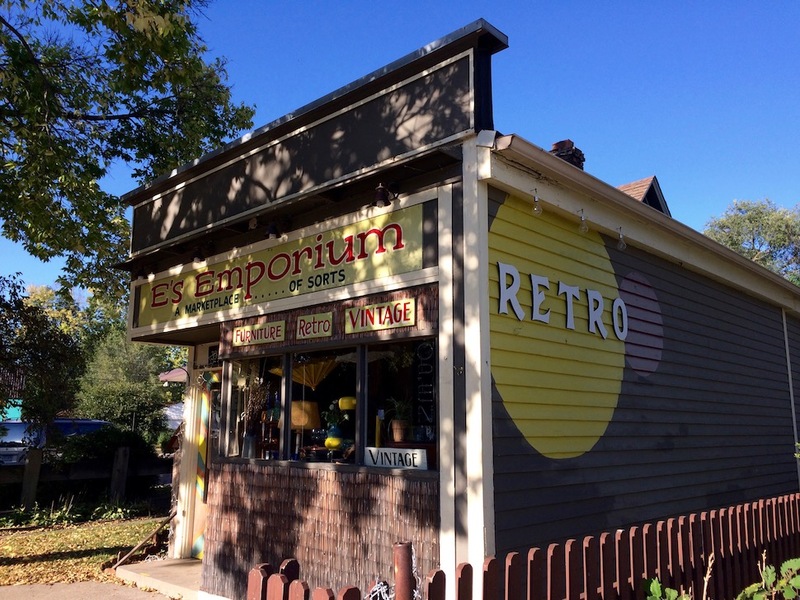 E’s Emporium: 3911 Minnehaha Ave., Minneapolis, MN; 612-702-5355. 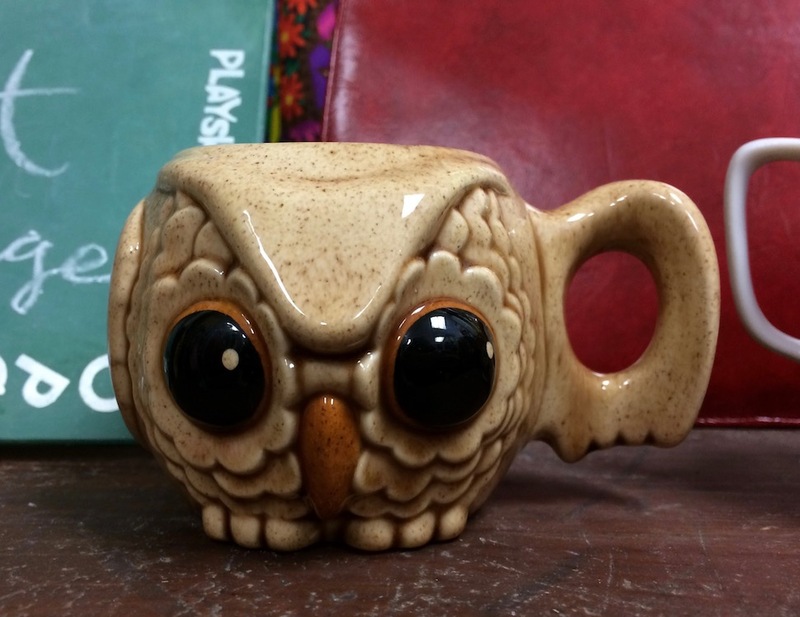 Time Bomb Vintage: 4008 Minnehaha Ave., Minneapolis, MN; 612-724-2662. Junket: Tossed & Found: 4049 Minnehaha Ave., Minneapolis, MN; 612-293-6863.